All-inclusive! 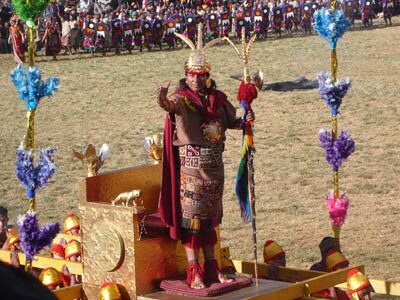 From $3,550 including ground transportation in Perú; quality hotels, all meals, guided tours and first class trekking service. See our FAQ and the detailed itinerary for complete information. 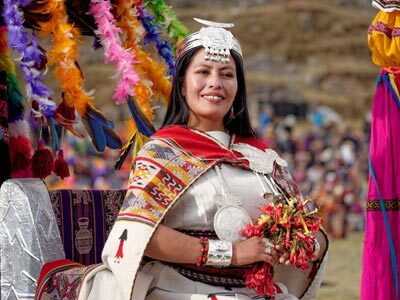 For Inca Trail adventures in April, May and June 2020, we recommend that you reserve by late September 2019 at the VERY latest. 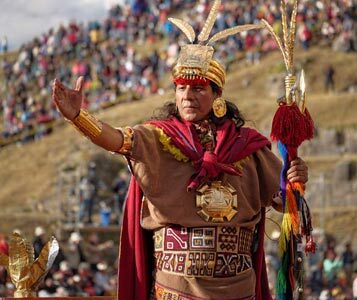 The sale of Inca Trail permits for 2020 trips will start the first week in October 2019 and they will sell fast. Click here for more info! 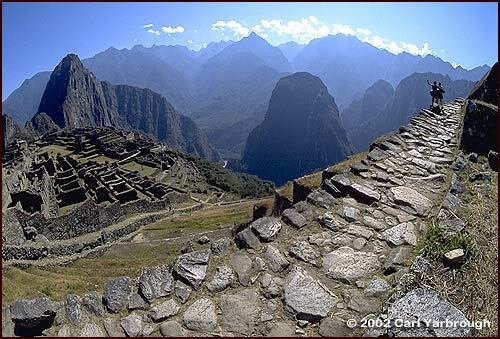 This adventure is a special, once a year, extension of the Inca Trail to Machu Picchu trek. 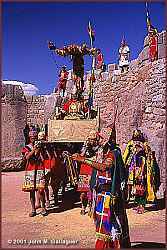 We hike the Inca Trail the first five days. 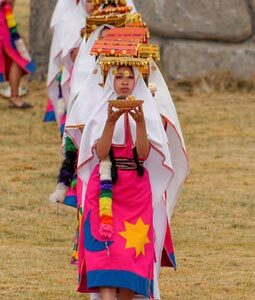 The Inti Raymi trekking adventure includes the Inca Festival of the Sun celebrated each year during the winter solstice; an authentic celebration to worship Apu Inti Taita, the Sun God. 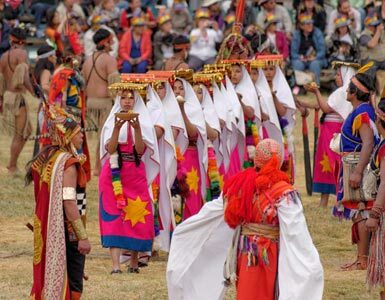 Processions, music and dancers in traditional clothing will offer their praises for the return of the Sun, the source of life. 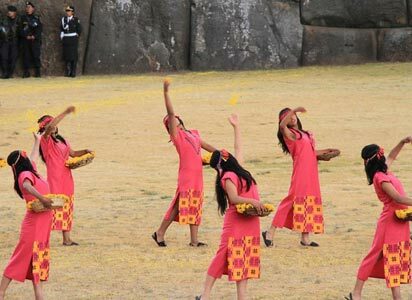 The Inti Raymi trekking adventure is meticulously planned so you can visit Machu Picchu on June 21, the day of the Winter Solstice — the single most coveted day in the year to be in Machu Picchu — and return to Cusco in time for the annual Inti Raymi Festival on June 24. 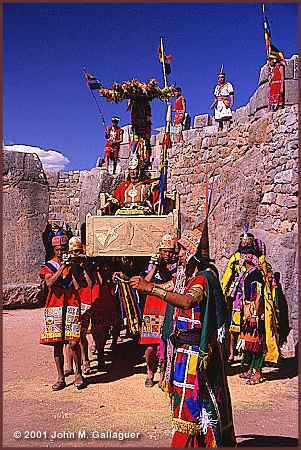 Our adventure begins in Cusco, the archaeological capital of the Americas at an altitude of 11,150 feet. 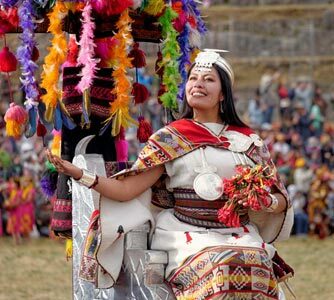 In Cusco you will see massive walls, cobblestone streets and remnants of the Inca Empire and the Spanish colonial period. 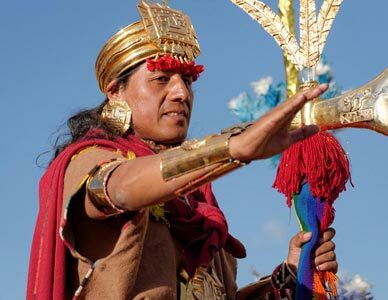 After a tour of Cusco, and the Sacred Valley of the Incas, we are ready to start our trek on the ancient Inca trail that leads to the legendary lost city of Machu Picchu, an extraordinary adventure into the history of the grand Inca civilization. 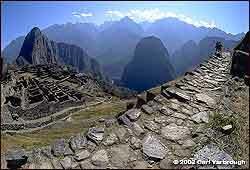 Along the way, we explore the intriguing ruins of Inca fortresses, and enjoy expansive views from the high passes. One night we camp in a high meadow, above tree-line, and the next at airy Phuyupatamarca, "town in the clouds." Descending to the Sun Gate and Machu Picchu, the cloud forest trail becomes increasingly lush and varied. After two days exploring Machu Picchu  one of the world's most spectacular ruins  we take a train ride back to Cusco. Our adventure concludes with the flight back to Lima and a guided city tour.